About Us | SALAMANDER-KOYCHEVI Ltd.
“SALAMANDER-KOYCHEVI” Ltd. offer professional services in the field of doors and window systems. From aluminium or PVC, notwithstanding whether it is a matter of windows, roof windows, doors or accessories – we can offer you an adequate solution for your space. We undertake the whole process of designing, manufacture, delivery and installation. At any stage of the services rendered by us the work is done by specialized team. We carry out activities all over the country and our offices are stationed in Sofia and Stara Zagora. During the time since the start of our business, we have managed to establish for ourselves a name and a reputation in the sector, and to establish ourselves as one of the leading companies for the design, manufacturing, and installation of our products in the city of Sofia and in the country as a whole. 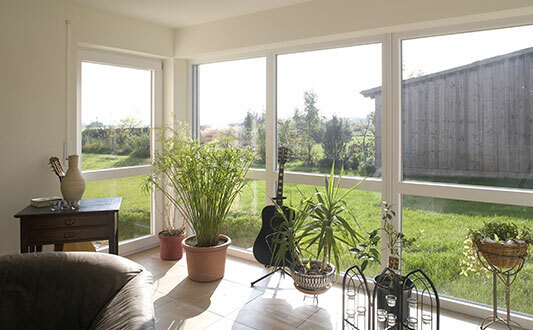 The experience we have accumulated in the installation of PVC and aluminum windows and doors within the borders of our country and also in some European countries, such as France, Switzerland, and Italy, is a positive proof of our reputation. The quality is what distinguishes our aluminium and PVC profiles. We offer only trademarks established on the market, which have first class manufacture and innovative contribution to the manufacture of windows and doors. The company offers special energy-saving glasses with coating which increases the thermal insulation more than twice. Our glazed units have high noise reduction up to above 40 dB. The doors and windows are equipped with the German mechanisms Roto, which is class A. 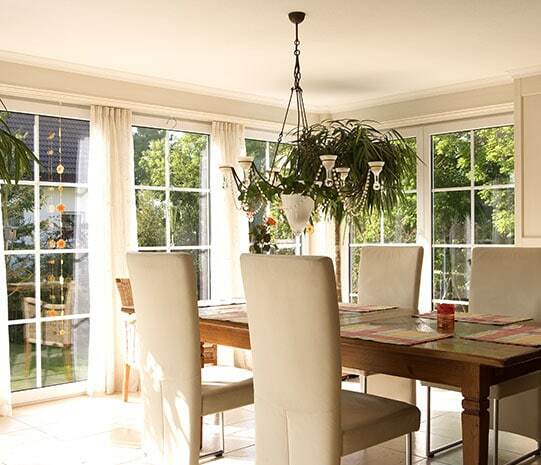 The installation of the PVC windows and doors is done by means of installation anchors (brackets) without drilling holes in the windows, and in this way, their air-tightness is not adversely affected. This guarantees a long useful life without the need of repair work or replacement. The color range will satisfy any taste and will match any interior making impression even to the most demanding customers. The company has a manufacturing base equipped with a full set of machines for the manufacturing of PVC and aluminum doors and windows. To us, the client comes first, and we do our best not only to execute our business according to high standards of quality, but also to become well acquainted with the individual wishes and preferences of our clients, observing the agreed time-limits. We know how important for you is the precision and timely implementation of the projects and we do not allow any delay in the expected time limits. All the elements built into the products of SALAMANDER-KOYCHEVI OOD meet the strictest standards of quality DIN and TÜV as well as the BSS and ISO. SALAMANDER-KOYCHEVI Ltd. – WINDOWS AND DOORS FOR CONNOISSEURS OF THE QUALITY! Salamander is one of the leading producers of profile plastic systems for windows, doors. The products represent more than 30 years of experience in the technology for processing of plastics. 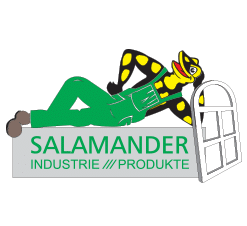 A guaranty for the quality and the authenticity of the German Know – how is the fact, that Salamander manufactures its own production in Germany, town of Turkheim (near Munich). The company Salamander Industrie Produkte GmbH has been established in the remote 1885 under the name “Jacob Siegle, manufacturing and storehouse, all types of shoe articles” in Kornwestheim (near Stuttgart). In 1913 „Jacob Siegle and co” is the biggest German shoe factory, renamed to Salamander. In 1960 the activity in the field of PVC equipment has been started. In 1973 a production and distribution of PVC profiles for windows and doors has been started. In 1997 the first sales in Bulgaria of profile system Universal have been made. PVC windows with profiles of Salamander offer all advantages, which you could expect nowadays from a window. from К 1,7W/m2 to К1,0W/m2 – the coefficient of heat transition determines the ability of the joinery to transmit heat or the amount of the thermal losses – something, on which to a big extent our bills for heating are dependable. The lesser this coefficient is, the lesser shall be our losses of heat through the window. By values from 34 to 47 dB the SALAMANDER profiles provide tranquility and quietness at home. 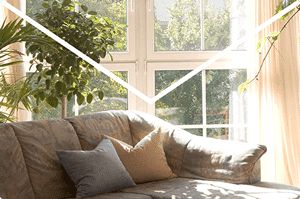 Depending on the used glazed unit the noise reduction varies as a whole from 30 to 40 dB. The SALAMANDER trademark guarantees the durability of the profiles, promising you that they will preserve their integrity and functionality. Resistant to sunshine they will preserve their shining brilliant appearance and smooth surface, regardless of the weather conditions.